The Main Event: Maple Glazed Turkey with Bacon and Sage Butter – a slight variation on last year’s turkey. This will be the first time I’ve tried this recipe. I hope it comes out as good as it sounds. Incidentally, I scored a great deal on my turkey this year. Publix had them at .59 per pound! I picked up an almost 15-lb. turkey for less than $9!! Broccoli and Cheese Casserole– This is a recipe we got from friends of ours after we had a “friendsgiving” at their house about 10 years ago. It’s a family recipe with cheesy, creamy broccoli baked with a buttery, crispy topping and it is absolutely delicious! For years afterward, we agreed to an exchange of sorts. I made them a green bean casserole, and they made me this. This year, they’ve shared the recipe and I’m going to try it on my own. Sour Cream Mashed Potatoes–This is my own recipe I’ve kind of come up with through the years. I’m handing the reigns over to my 17 year old son this year to do them himself, so we will see how he does. These potatoes come out so smooth and creamy! I’m going to try and remember to take pictures in the midst of all the cooking chaos so I can share the recipe after the holiday! Creamy Corn Casserole–I stumbled upon this recipe last year and my oldest loved it and begged me to make it again this year, so I will! Green Bean Casserole — Of the standard French’s variety. Why mess with a classic? My hubby’s Yam’s–This is the one dish he makes every year and we all love it. Yams, pecans, brown sugar, marshmallows. It’s one big gooey, delicious mess. My crockpot mac-and-cheese–Honestly, this recipe sprung up from desperation. Our rental home is equipped with one of those straight-from-the-1970s ovens. You know, the really small kind with the clock that has the numbers that flip? If I’m lucky I can fit two casserole dishes in there at once, so I have to limit the number of dishes that I cook in the oven due to time constraints. My boys love having mac-n-cheese for the holidays, so, I decided to utilize one of my three crock pots! Stuffing– Straight out of the box. Mainly because I just can’t do everything from scratch and Stove Top tastes pretty darn good. Chocolate Peanut Butter Pie–My hubby’s favorite. A must-have for every holiday. Pretzel Pecan Pie — I made this last year and it was really good. I found out you can make it ahead and then just pop it in the oven at about 300 degrees for a few minutes before you serve it to soften it up. Crock Pot Peach Cobbler — Because I always like to have a fruit dessert, but like I said, I suffer from limited oven space, and time. This will be a first for this recipe too, but it sounds yummy! And that is our holiday menu for this year! Yes, it’s a lot, but like I said, I won’t be cooking at home again for a full year. When my hubby works, we go to the station and just bring a side dish. And, I purposely plan to over cook so I can take the whole weekend off and relax! I hope all of you have a wonderful holiday! From my family to yours, Happy Thanksgiving! TOS Crew Blue Ribbon Awards! 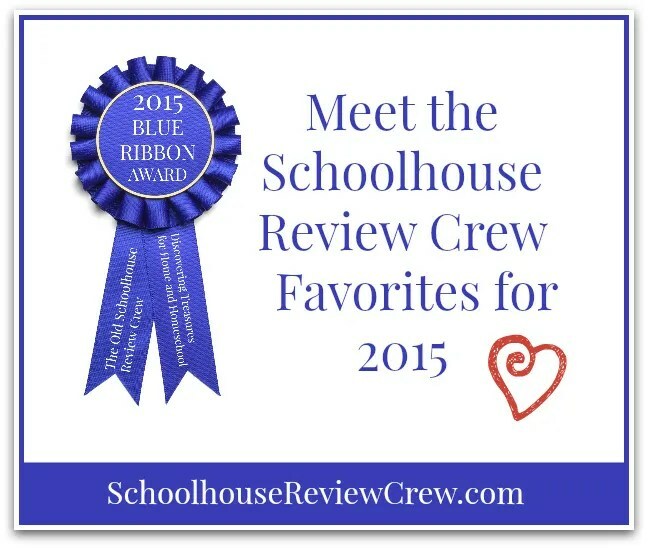 As the crew year winds down, it is time for the annual Schoolhouse Review Crew Blue Ribbon Awards! Every year, each crew member (and their families) get to vote on their favorite products from the year in different categories. Each child in the family also gets to vote for their favorite product, and parents do too! We got the chance to check out so many amazing things this year, I wanted to highlight a few of our favorites. 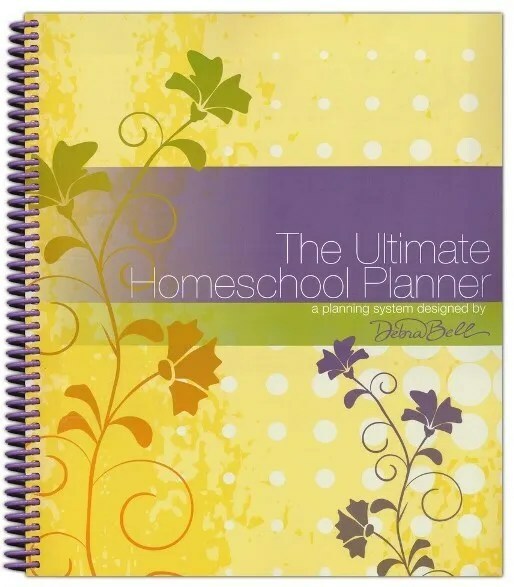 My favorite product this year was The Ultimate Homeschool Planner from Apologia. I really, really love everything about this planner! It is so well-organized and set up, and had so many helpful pages for helping me to plan for our homeschool. And it has a beautiful design. This was a difficult choice because we narrowed it down to about three things, but then were really torn about what to choose. 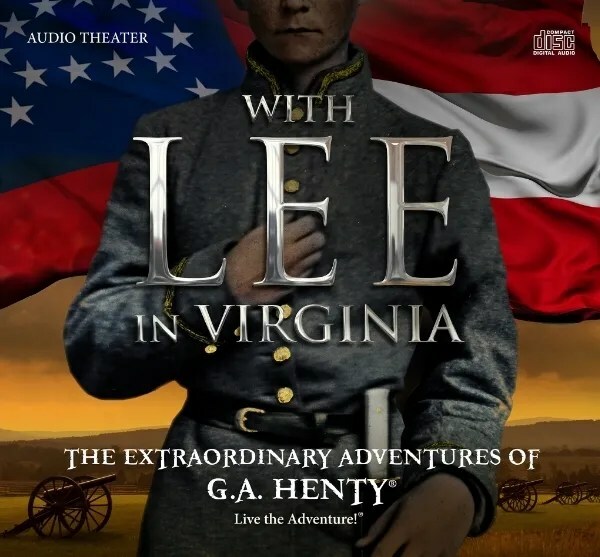 Ultimately we settled on With Lee in Virginia because we all agreed that it kept us on the edge of our seat, and stood out in our minds long after we got done listening.Heirloom Audio productions really does an amazing job with their audio dramas! It would be a great supplement to any history study of the Civil War. 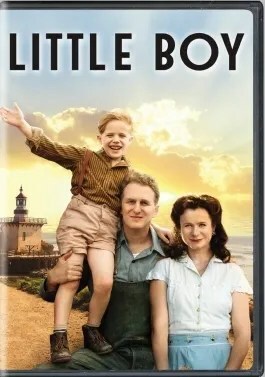 While he loved With Lee in Virginia, that got our family vote, so his absolute next favorite product was the movie Little Boy that we got from FishFlix. Set in World War II, it would be a great addition to a history study as well. It is a fantastic family movie that will make you laugh, make you cry, make you laugh again, and just leave you with the warm fuzzies! I have to say, this choice surprised me, because as a rule, this boy hates math! However, he really, really liked the online program from CTC Math. He liked the way it was set up and felt it made the math really easy for him to understand. In fact, when I was looking into other math programs for the new school year, he requested to continue with CTC. There is one more product I really felt the need to mention and that is DrumsWithWillie from JazzEdge. This was an online drum class that my youngest took and it was so incredibly good. The instructor for the class does a great job of engaging students and making the lessons so clear. I hope you are enjoying the fall season. And that you have a fantastic Thanksgiving holiday! 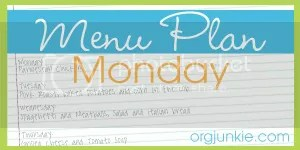 Thanks for stopping by for Menu Plan Monday. 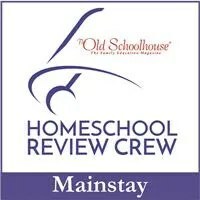 I consider Bible study to be the heart of our homeschool. We want everything we do to point our children to the Lord, but, especially as they get older, I want to engage my boys in an active study of God’s word. However, the key part of that equation is truly engaging them. So many Bible studies seem to be based on dry recitation of verses and facts. Don’t get me wrong, scripture memorization is important, and we do that, but I think that for any kind of learning to really stick, kids have to be actively engaged in the learning part of it. 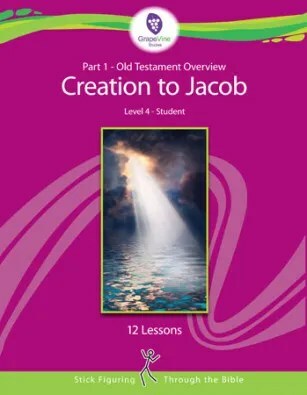 For this review, we got to check out the Old Testament 1: Level 4 Creation to Jacob Bible study from GrapeVine Studies. It’s a very different sort of Bible study that still focuses on the important principles, but uses different methods to get student’s attention and get them involved in learning. 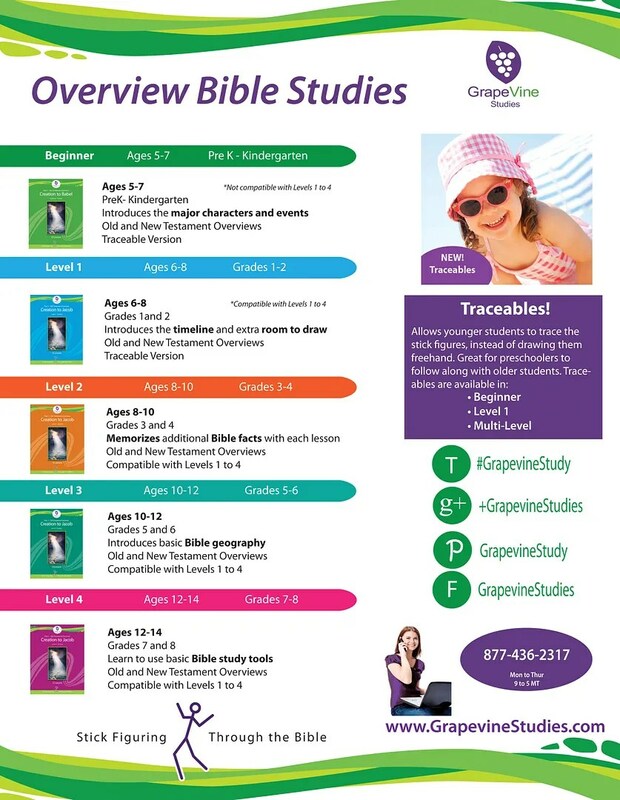 To complete the level 4 lessons, students will need access to a Bible concordance or dictionary. We have an older version of a concordance given to us by my mother in law that we used, but there are also plenty of online resources you can use to find this information. The study comes with a pretty extensive teacher’s guide that you do need to become familiar with. Of course all homeschoolers like to tweak the programs they use, but this one does have some pretty specific methods that teachers will need to follow. The nice thing is that everything is all laid out in the guide, including the schedule, so it is pretty easy to follow. Basically, the teacher’s guide walks you through the lesson, complete with a script and detailed images showing you exactly what to draw! I found this to be very handy. Now, keep in mind that you do NOT have to be an artist to use this curriculum. The whole idea is to use stick figuring to complete the pictures, which makes it perfect for parents and students alike. I have very very limited artistic talent. Stick figures are about all I can handle. So, when I was modeling the pictures on the whiteboard, they were almost laughable. However, my 14 year old has inherited quite a bit of artistic talent from his grandmother, and his pictures were much better than mine. 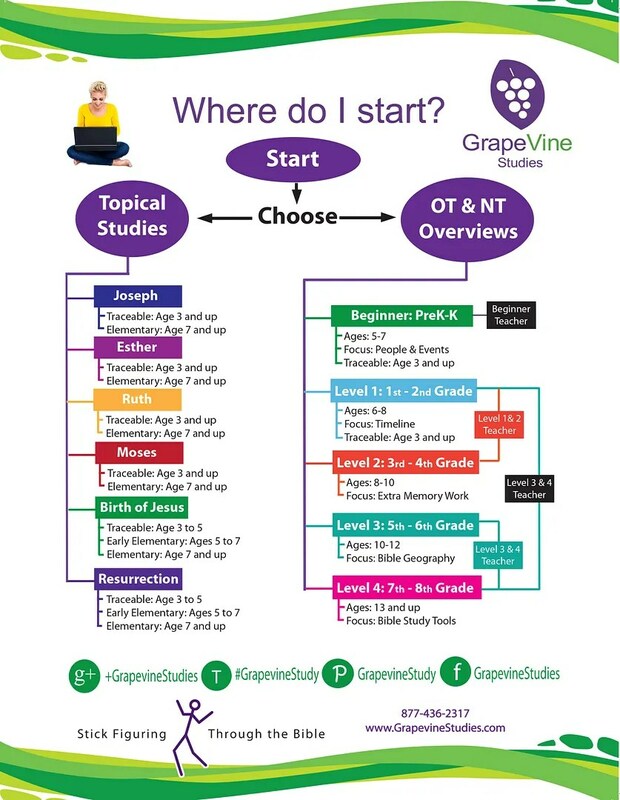 Each lesson starts with the timeline, where teachers introduce the Bible passage and help students map it out. I feel like drawing it out on the timeline really helped to cement the events in my son’s mind. The guide gives you an idea of what each student page should look like when you are done, so you can kind of eyeball if your child got the right idea or not. From there, you move into the formal lesson, taken from other Bible passages and including memory verses and key points all broken down in the guide. Students also have drawing pages where they take visual notes on this part of the lesson as well. Lessons are spread over several days, and at the end of each section there is a review-type page that involves having students use a concordance or dictionary to answer questions related to the lesson. Now, while we did follow the instructions for all of the drawing pages exactly as they were given, I found this program worked better if I read the teacher’s notes the night before each lesson, and then summarized them rather than reading them verbatim for my son. He’s older, so he doesn’t need word-by-word instruction. For the lesson days, we often read the passage from the Bible for that day, then I summarized the key points from the teacher’s notes again while he did his drawings. In all, we spend anywhere from 15-30 minutes a day working on Bible four days per week. On the fifth day he did Bible reading on his own. At first, this study seemed a little complicated. However, once we got into a groove, it got pretty easy because you really repeat the same steps the whole time. My son enjoyed drawing his notes, because like I said, he is a natural artist. I would definitely recommend this study for students who like to draw, or for kids who tend to get fidgety during lessons, because it gives them something to do with their hands. TOS Review: The Critical Thinking Co. Ever since they were little my boys always loved solving “brain teasers”. You know, the kinds of puzzles where they got clues and had to figure out the end? At the time, these were just things we did for fun, but as they got older I began to see the value in these types of activities for teaching real skills in a fun way. So, I was excited to review The Basics of Critical Thinking from The Critical Thinking Co. with my youngest boy. We have used products from Critical Thinking before, but those were aimed more at mathematical reasoning, so I was happy to get to check out some of their more general reasoning and logic products. This workbook is aimed at grades 4-9, so it was perfect for my 14 year-old boy. The book starts with an introduction to critical thinking that is pretty simple. I liked this because it was something my son could read for himself. It then moves into a pretty fun pre-test where students are challenged to find a thief. My son loved this! From there, the book is divided into sections that focus on different skills like inferences, evaluating evidence, facts and opinions, discovering probable truths and so-on. What I like about how this book is set up is that it is so user-friendly. Each section begins with a concise and easy to understand explanation of the concept, some information about why it is important, and then an example of how to use the concept. From there, the students go into a series of practice problems where they apply the concept, and those practice problems are really fun. I also really like how this book makes it easy to understand concepts that can be applied to other subjects. For example, inferring and inferences are often taught in reading, but many students find these topics difficult to grasp because they are so intangible. However, working with them in the context of the critical thinking exercises makes it so much easier to understand. Also, the ideas of facts, opinions, and probable truths can easily be applied to the studies of government and politics. Using something like The Basics of Critical Thinking alongside these other subjects can help your kids transfer what they are learning to those subjects too. As students work toward the end of the workbook, they get introduced to more formal logic study like common fallacies and analogies. However, the process of learning these topics is handled in the same way. They also learn to evaluate arguments, something that will come in handy as the election process moves into full swing. We actually practiced applying many of these concepts as we watched the debates on television, because I love trying to find real-world applications for the things we do in school, and debates and politics are natural areas where critical thinking skills apply! Every once and a while, my family likes to have steak. However, my kids get bored with the same old, same old steak on the grill routine, so I like to look for ways to jazz it up. This recipe is great because it calls for flank steak, which is typically an inexpensive cut, and one steak can feed my entire family. It came out really good and flavorful. 1. Squeeze excess liquid from the spinach and place it in a large bowl. Chop the red peppers and add them to the bowl. 2. Add about 1/2 to 1/3 cup of the blue cheese crumbles, then sprinkle on 1/4 tsp of the garlic salt and 1/4 tsp of the pepper. 3. Drizzle 1 tbsp of the olive oil on top and stir to combine. 4. Spoon the mixture evenly onto the top of each strip of steak. 5. Starting at one end, roll the steak up, and close with cooking twine. Use a spoon to push and pieces of stuffing that fall out the sides back in. 6. Rub each roll with the remaining olive oil, then season with the rest of the garlic salt and pepper. 7. Bake in a 425 degree oven for 25-30 minutes, turning once. Allow the meat to rest before serving. This was my first attempt at stuffed steak, and I was pleasantly surprised with how it turned out. The hardest part was locating the cooking twine, which I finally found hanging on the side of the meat freezer in my supermarket! Thanks for stopping by. Be sure to come back next week!